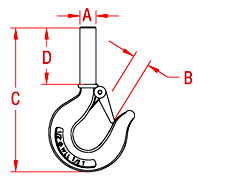 The Shank Hook is made from 316 stainless steel and ranges in size from 1/2″ to 7/8″. 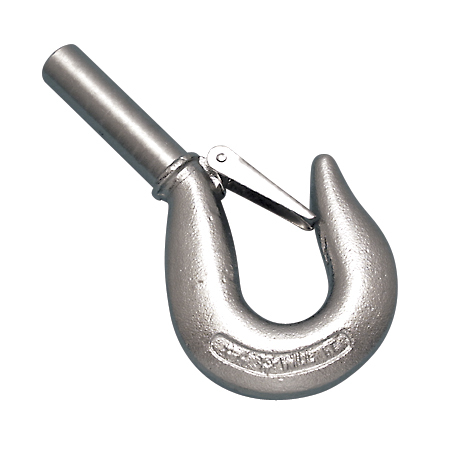 This heavy duty stainless steel shank hook includes a removable safety latch and is load rated, making it ideal for many industrial and marine applications. Custom threading is available.